This is the 158 foot S/Y Legacy, an Italian-built Perini Navi super yacht, the property of American tycoon Peter Halmos. 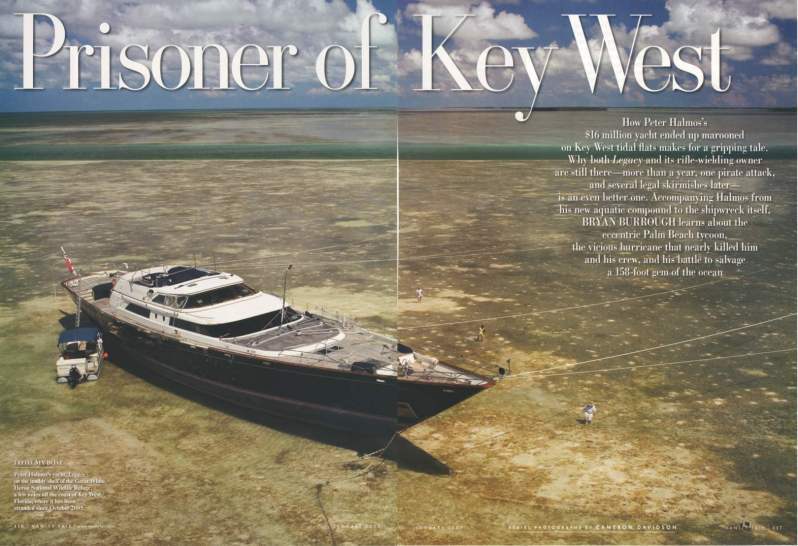 Hurricane Wilma carried the yacht onto salt flats near the Florida Keys on October 25, 2005. 31 July 2006 - Plan to refloat Legacy started - Triton Megayacht News article. 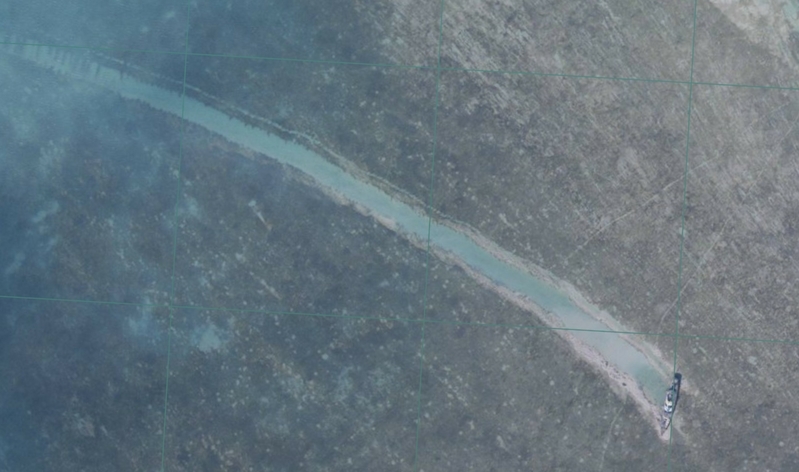 Aerial photos for the Vanity Fair article here. 3 Feb 2007 - Palm Beach Post story. 6 May 2007 - Another Palm Beach Post story. 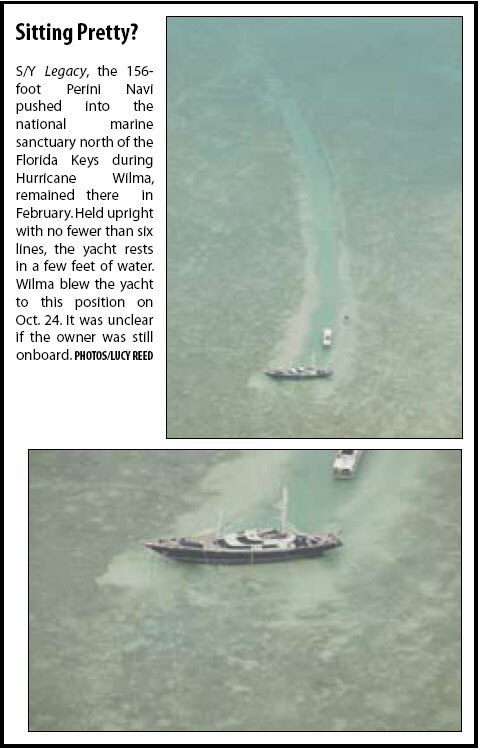 28 February 2008 - Yacht stuck for 2 � years finally free - Miami Herald story. Floating free after salvage, here. 3 March 2008 - Sailing Yacht Legacy Free at Last - Megayacht News here. 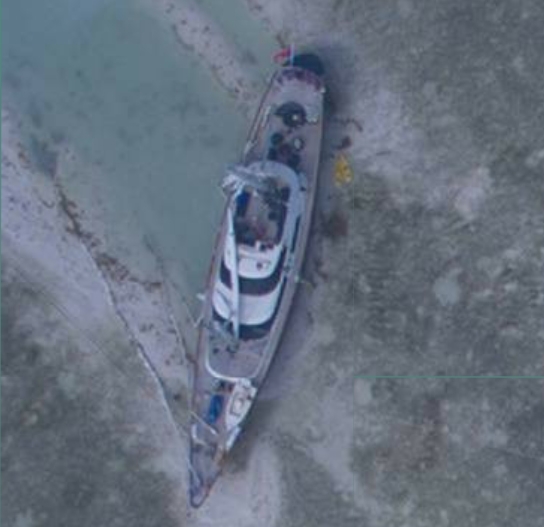 26 March, 2008 - After two years of trying, Legacy floats free - The Triton article. 18 April 2008 - Bryan Burrough: The Legacy Sails Away - Vanity Fair here. 24 December, 2008 - Halmos: Legacy �doesn�t want to leave� - Triton Megayacht News article. 31 May 2009 - Waterworld - Keysnews.com here. One way to get her out!